Here we are in February, nearly a month after the disgraceful NFC Championship Game. Now seems like as good as a time as any to address Saints nation, right? Roger Goodell has been a bit busy dealing with the teams that did move on to the Super Bowl and hasn't given a care about New Orleans. He certainly didn't consider using his power to replay the Saints/Rams contest, so he had no interest in actually dealing with the fallout. 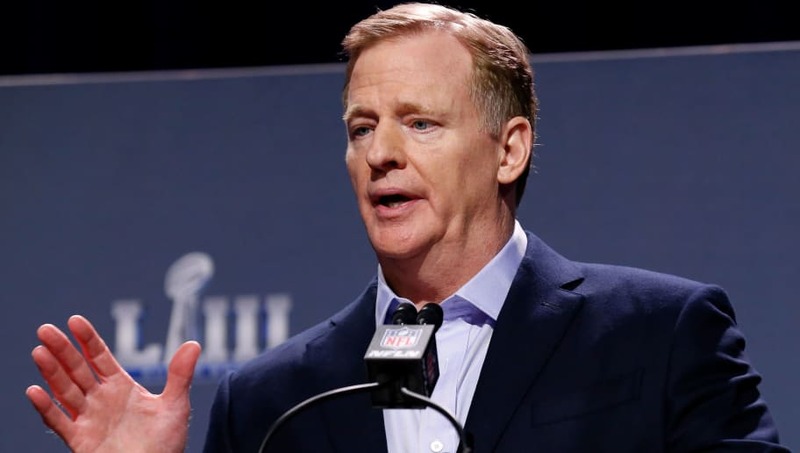 The Saints haven't forgiven him, but at least they received a response from him after the governor of Louisiana reached out to the commissioner via a letter. Goodell wrote back to the governor, saying while he may not have the power to overturn a game, he admitted the fault was the NFL's. He did say something similar during a lame explanation about the official's missed pass interference call, but this was more personal. It acknowledges the fact that they should've had the chance for a first down, while still covering his back about not being able to change the rules. He answered the governor, but he ​still hasn't met with the Saints. This isn't enough to make Saint fans happy. They won't be happy until Goodell has to hand them the Lombardi Trophy.